In order to uncover the best new makeup launches of 2018 for our Coveteur Choice Awards (have you checked out our winners yet?! ), we had to test *a lot* of products. We know, we know—our jobs are really tough. 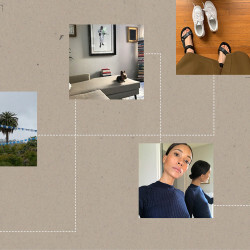 As much as we would have liked to recognize everything we tried in the past few months, we all came away with our own personal favorites. For some, that was a cult-favorite eyeshadow palette; for others, a creamy blush made for contouring. Coupled with a few of our tried-and-true beauty products, these are the 21 top makeup products we’ll be using this holiday season. 1. 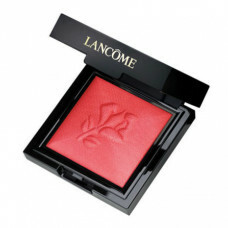 3CE Heart Pot Lip in Woody Rose: Aside from being the *cutest* makeup product in my arsenal (look at the packaging! ), this tinted balm is my favorite find from my recent trip to Korea. It’s creamy, has great color payoff, and lasts surprisingly long for not being a traditional lipstick. I treasure it. 2. Lancôme Le Monochromatique in Soiree: The first time our beauty director and I set eyes on these new Lancôme cream-to-powder shades, we felt slightly weepy. 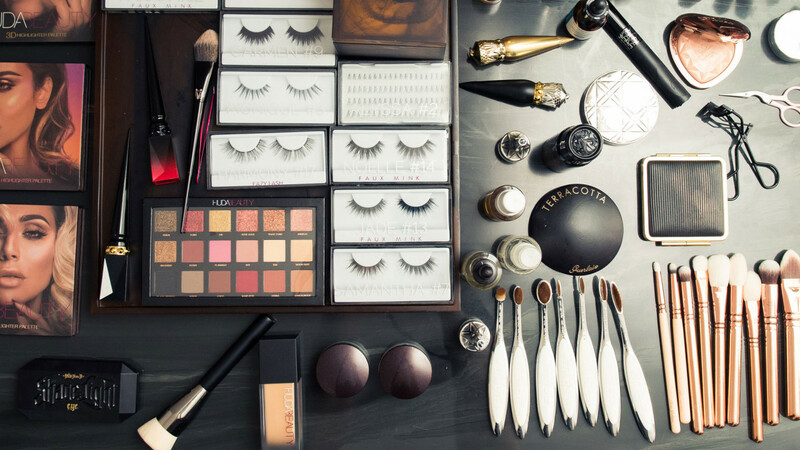 They’re so, so, so good (they even won the blush category for our Coveteur Choice Awards). Although you can use them for your eyes or lips as well, I prefer to dust this rich raspberry shade from the apples of my cheeks curving up towards my temples. It’s the perfect healthy blush. 3. 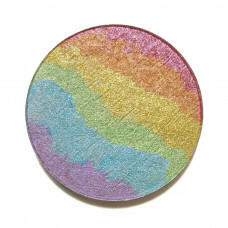 Chaos Makeup Kaleidoscope Highlighter: Apparently I’m really into cute packaging this season, because Chaos’ seashell compact with glittery rainbow highlighter is my new everything. If you use a fluffy brush and blend out the powder, you get a gorgeous prismatic highlight that looks like a true glow from within. I can’t get enough. 1. 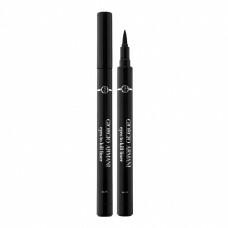 Giorgio Armani Eyes to Kill Liquid Liner: Winged liner has been my *look* since high school. I spent a lot of time perfecting the flick back then, and now I can do both eyes in under 30 seconds. Next to a swipe of red lipstick, it’s the easiest way to fancify my beauty look, especially because I don’t wear a lot of makeup otherwise. For the holidays, if I have a cocktail party, I’ll amplify it by thickening and exaggerating the wing—and I love this one because I have so much control and it does not budge all day long. 2. 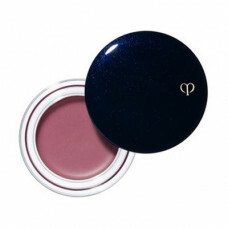 Clé de Peau Blush Crème in Cranberry: My skin is incredibly dry in the winter (whose isn’t? ), so I swap my powder blush for a cream. As I mentioned, I don’t wear much makeup, which is why a blush that gives a subtle wash of warm color for a natural flush is my favorite. I’m a die-hard Clé de Peau cream blush fan for exactly that reason. 3. 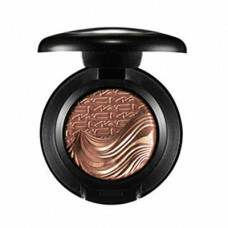 MAC Extra Dimension Eye Shadow in Sweet Heat: When I do decide to put a bit more makeup on for a big event, or when I decide to forgo the eyeliner and change things up a bit, I always relegate to a bronzey shadow. It brings out my green-ish/grey-ish eyes and is so sultry with minimal effort. 1. 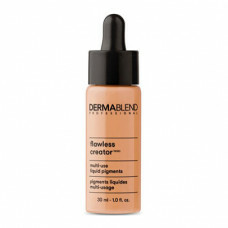 Dermablend Flawless Creator Multi-Use Liquid Pigment: I’ve had a tough time finding one foundation or concealer that works with my skin throughout all of the four seasons. Until now! I picked up this Dermablend one day at our office, and I haven’t looked back since. 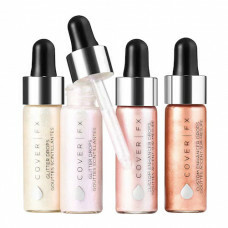 Not only is it incredibly blendable and buildable, but it always gives me nice, smooth coverage and also doubles as my concealer when I’m breaking out. Win-win. 2. 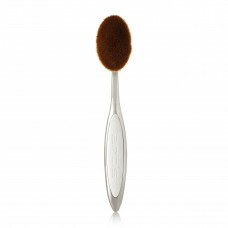 Artis Brush Elite Mirror Oval 7 Brush: While it isn’t technically a makeup product, my makeup would not look as it does every day without this brush. When I tell you that this brush has changed my life, I’m not exaggerating (OK, maybe a little). I’m no whiz when it comes to makeup application, but I’ve realized that if I move this brush in circular motions around my face, my foundation becomes one with my skin. It truly is a flawless application every single time. 3. 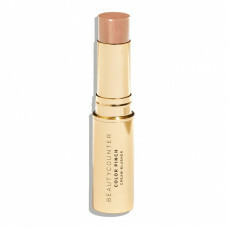 BeautyCounter Color Pinch Cream Blusher: Don’t let the name of the product fool you; this bad boy is what I use to contour. I use the caramel shade, and it seems to work perfectly for someone who really doesn’t know what the hell she is doing when she contours once a month. Whatever I seem to do with this stick (a few lines on the cheek, a few under the chin, etc.) works. It blends perfectly and never puts up a fight when I put my powder bronzer on top. 1. Dior Lip Glow: My lips get pretty easily chapped in the winter, so I tend to gravitate towards light lip balms than a daring color or some glittery glosses. But why can’t I have it all? That’s when the Dior Lip Glow delivers on all fronts—moisturizing, tinted, and glittery to my heart’s desire. 2. 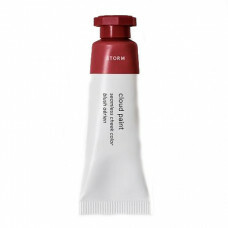 Glossier Cloud Paint in Storm: Once I discovered cream blush, I’ve never been able to go back to powder. The application of Glossier’s Cloud Paint is so easy whenever I’m in a rush—I just simply dab onto the apple of my cheeks, and I’m out the door. And the color “Storm” is my absolute favorite, giving me a soft “I just worked out at 6:00 AM” glow that can fool just about anyone. 3. 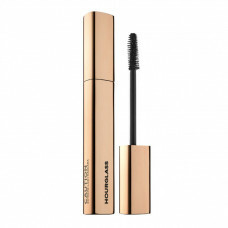 Hourglass Caution Extreme Lash Mascara: Mascara is absolutely my desert island product, a staple I cannot leave the house without! I have some pretty bad eye bags in the fall, so I need a product that can wake up my face, and mascara does just that. Hourglass’ new Caution Mascara doesn’t clump and perfects the volumized, feathery lash look that transforms my face. 1. 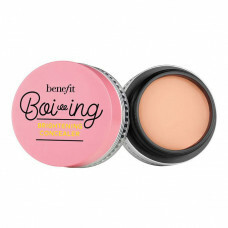 Benefit Boi-ing Brightening Concealer: This concealer never ceases to amaze me every time I use it. While I do miss Benefit’s OG erase paste formula (RIP), this one still does an amazing job concealing my under-eye circles while also brightening up the area. It’s super easy to apply, and you don’t need to use too much to get full coverage. 2. 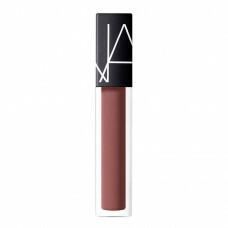 NARS Velvet Lip Guide in Paradise Garage: I don’t often wear lip color, but when I do, it’s this NARS velvet lip guide. It glides on so easily, like a gloss, but the color ends up looking like a matte lipstick. It doesn’t leave my lips feeling dry, which is super important for me in the wintertime. 3. 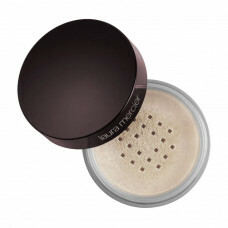 Laura Mercier Setting Powder: It’s no secret that this Laura Mercier setting powder is the best in the game. My makeup routine feels truly incomplete without it. It’s extremely lightweight and gives my face that perfect matte finish that lasts me throughout the day. 1. 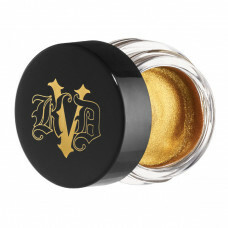 Kat Von D Current Crush: Glitter Gel: This multi-use gold gel is like pure liquid gold. I can use it as eyeliner, eyeshadow, over my lips, blended into my liquid highlighter for extra pop… I can even dot it around my eyes for a New Year’s lewk. I am mesmerized by this stuff. 2. 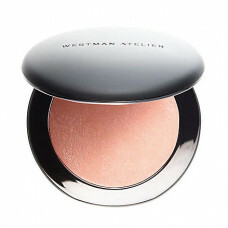 Westman Atelier Super Loaded Tinted Highlight: This cream created by makeup artist Gucci Westman, which I’ve written about before, has been at the top of my wish list since Westman herself first dabbed it on my cheeks. 3. 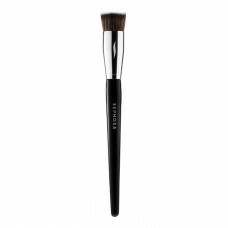 Sephora Collection Pro Liquid Foundation Brush #63: A dense foundation buffing brush will change your makeup game because it blends as you apply, and you don’t have to get your fingers covered in makeup. It’s my favorite way to apply foundation fast. 2. Lime Crime Bushy Brow Pen: Whenever I do my makeup, I’m equally excited and nervous to get started on my brows. They’re either going to look seamless or crazy. I sat in on a beauty shoot, and the makeup artist on set pulled out this bad boy—I immediately was stunned at the model’s brows and how perfect they looked. This pen gives you such realistic, hairlike strokes that it looks as if you just got your eyebrows microbladed. It’s perfect for precision or a quick touch-up. 3. 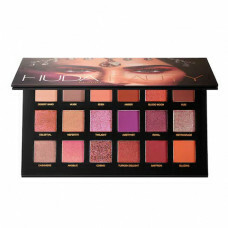 Huda Beauty Desert Dusk Palette: This palette was out of stock in Sephora for almost an entire year! But it was so worth the wait. From its blendable shades to its crazier, sparkly colors, I truly don’t need any other palette in my makeup collection. You can build up the pigment with these eyeshadows, so you can define your lid with a muted shade or go for a full glittery glam look.